It’s great that CI updated their app for the iPad and newer versions IOS, however I was disappointed to see that it’s just an online version of the magazine. I don’t use the app based on the monthly print issue. I do searches based on key ingredients or type of dishes and like to have my saved recipes. Now I have to go back to the web version. Can’t I just sign in using my online login rather than “subscribe” and pay again? So confusing! I can’t link my subscription of 20+ years to the app. Have emailed tech support twice, and no reply. If I could have given 0 stars, I would, because that’s how much experience I have with the app. I have several years of magazines that I PAID for and no longer can download any of them or have access to them. I have new ones that I PAID for and they will not download either, this is so frustrating. What happened? All these people do is try to sell me more subscriptions, to get what I thought I had already paid for. This is not an ethical business. Every time I try to open it just crashes. I’ve never seen an app behave like this. It was great while it lasted. Very upset. I wrote to the magazine but no one ever answered. I already subscribe to the magazine and don’t see why I need to fork out more money to get the online app that seems to only access the magazines that I already pay for. The old app was great! It let you access the same information as the cooks illustrated web site (which is another expense), such as my favorite recipes and let’s you create a shopping lists. I have always been a huge fan of America’s Test Kitchen but I don’t like that one has to pay for so many different apps and websites to get to their great stuff. Please bring back to old app!!!!!! The app flat out doesn’t work on later versions of iOS now. Not worth subscribing if I cannot access what I paid for. Womp. I used to love this app. Now it won’t even open. Very sad that I will be cancelling my subscription. If a paper subscription to COOKS Illustrated is your bible, this app is a fantastic addition. Extra pictures of cooking steps are worth it, alone. Hope you enjoy! Also, recommend ATK the website, also, sign up on website. The app is not as functional-recipes... website has tv episodes well organized, and learning tip videos 2-4 minutes. Recipes can be printed out. I love this magazine for its thorough research and polished presentation, and the app does a good job of making it easily accessible. Easy to move through articles. Only suggestion for MAJOR improvement, have a searchable index without the need for major subscription upgrade. The old app is gone, along with all my saved favorite recipies. This just allows you to purchase their magazine and view it. NO ACCESS to the web. Useless. I’m already a subscriber to the magazine and the online access and you want me to pay AGAIN just to view it through your app. Give me break guys! Shameful! I subscribed to CI magazine for years, even putting up with the relentless marketing by Chris Kimball and company, and the weak writing, because the magazine is always filled with great food, great reviews, and great tips-n-tricks. This app gives you all that, and more; love the color fade-in, the navigation is a breeze, and all the benefits of the print version are there. It’s pretty much a total win, so why just 4 stars? There is one thing it won’t do, and it drives me crazy. The ipad sits in its cover, or keyboard, or what-have-you, in landscape position. If it’s plugged in, it pretty much *has* to be horizontal, not vertical. Sadly, the CI app does not rotate to fit. It stubbornly remains a portrait-mode-only app, which reduces it’s usefulness a full 20% to me. Part of the reason, it seems, is that you can’t scroll endlessly; scrolling is full-page only, which is in itself a pain, but I’m guessing is required for the navigation to function as seamlessly as it does; but perhaps they could implement the same thing as a half-page scroll when in landscape mode? If they fixed this, it’d be 5 stars without hesitation. Anyway, that’s the only issue I have with the digital issues. Everything else is great, and I’d recommend this app to anybody who enjoys the print version. This is a company that doesn't understand how to treat existing customers. I love the print version, but since I shuttle between two houses I thought I would do better with the iPad edition. It has been waiting to download for three days, and support has not responded to my plea for help. Frustrating! So sad! I subscribe to the print magazine but have to pay (again?) for my iPad app! Really? When this ousts them next to nothin? Am very disappointed. Perhaps the powers that be will see the light, change their greedy minds, and reward their current patrons! Way to put a magazine on the iPad ! This being such a new medium, a lot of efforts are hit or miss, and most of them miss. Never having read Cook's, I was very impressed with the whole approach to food. A bit of wizardry, some craft, some science and a lot of clear and concise approaches to the beauty of food and cooking. More than just a 'how to', there's as much 'why to'. And it reads like what cooking is, an adventure. But what real crimes me is the way the magazine is executed on the iPad. Okay, I was really taken by the pictures. They totally blow me away, the way they start off in black and white, and then end up in glorious color. The dishes appear to come to life right before you. Great magazine! This app is really poor, wants to charge me for each issue even though I already paid for subscription. Also, the issue icon in Newsstand does not update. App thinks I am a "TEST USER" and won't recognize my Apple ID. In this state it won't let me restore old issues or recognize my subscription. I have the same problem with other magazine subscriptions. Seems like it might be a a problem within Apple. This is an awful app. It's advertised as a subscription app, but it doesn't work like one. I paid for the subscription and downloaded the app. Yet each new issue asks that I pay full newsstand price for it before downloading. If there is a way to make the app behave as a subscription app, they don't provide instructions on how to do so. At best their design is poor. I wholly recommend against buying this app until it works as advertised. It's ironic that they got this so wrong. America's Test Kitchen publishes the Cooks Illustrated magazine, website, cookbooks and more. They pride themselves on rigorous testing to help people find the best recipes, ingredients, equipment, and preparation techniques. They produce great content. How is it that they couldn't figure out that the subscribers to the website would be bothered by their double dipping approach? Skip this ap. Use website. Boo...these guys are great marketers. I already get their magazine and website, but it is dissapointing that they want me to pay extra for iPad version. These guys' marketing is non-stop, ubiquitous, and lacking restraint--I am tired of it. Step 1 is to write these kinds of unfavorvable reviews and email to the company and hope for a change. Step 2 is too cancell my subscriptions. I have not reached Step 2, yet. However, their "skill" at marketing is close to exceeding the value that I gain from their product. Very poor business. Like the magazine but am not going to pay an extra $20 a year just to read it on my iPad. Should be included for print subscribers. Loved the magazine, but now the upgrade will not work on my iPad. They charged me anyway for another year. I don't know how to contact them! Cooks illustrated app won't fully down load! Please help. All other magazine apps have. I subscribe to the print addition and also have the recipe app on my phone. Makes no sense that I'm paying all that money and I can't get it on my iPad as well for convenience. Other magazines give this option. Very frustrating. Cook's Illustrated does not rely on advertising dollars from products to support their magazine. Therefore their opinions are largely unbiased and product reviews honest. So, if you want to learn how to cook good food for free, you will have to go else where. With that being said, I have been a subscriber to this magazine for four years now and can honestly say their recipes have always great and you will learn many tricks and tips to making excellent food. Really!?! You have a recipe app for the iphone and not the iPad. What is up with that?? I have to purchase magazines and I'm already an online member. Weird. And not helpful. I really like this magazine, been a paper subscriber for decades. My only complaint is I wish I could print the recipes. Now I have to go to the site and then print from there. It worked fine for me. The issues show up on the Newsstand. Nice to have such professional information easily viewed in the kitchen. "Please restart the app and try your download again"
What dreadful application. Not worth the time to download. Despite having a print and digital subscription, no way to login with my current subscription. Do not waste valuable time downloading this piece of junk. I'm not sure what all the fuss is about. I've just subscribed and downloaded my 1st issue. The magazine works fine. Easy navigation, no probs. Maybe I'm doing something special? I've got a new ipad & iOS 7. Hope it works better for everyone. Gotta go do some cooking! After reading many reviews from disappointed subscribers to the print magazine, I have decided not to subscribe to either the print or digital version because it comes off as a money-grab. I am a capitalist at heart and realize it's a market economy so CI can do whatever it wants, but by requiring subscribers (and fans) to overpay is not for me. I will just continue watching the show on occasion. Come on guys, can't we get a dedicated iPad app already. This is ridiculous. This cooks illustration magazine doesn't work for me. I paid for one year and it still will not allow me to download any of my mags on iOS 7 or 8. Need my money back. Bad bad bad. I'm paying a lot of money for my subscription to Cook's Illustrated and all it's entities now and you want an additional $6 a month so I can read the magazine on line. Really??? Really??? Adding my voice to the complaints: I pay for the paper magazine and I pay for the web sites. I am NOT going to pay an additional $24 a year to see the magazine on my iPad. CI needs to get with the program... Fine Cooking provides the iPad app comp if you subscribe to the paper magazine. Pointless App--Don’t Waste Your Time! The only thing this app allows you to do is buy content; specifically, issues of Cook’s Illustrated Magazine. Be warned that doing so will only let you access the magazine. All of the web content requires an additional purchase. I’ve always liked Cook’s, but I’m thinking seriously about canceling my subscription because they nickel and dime approach to content. I don't have time to fumble and waste time getting this application to work! Despite having a year-long subscription, I have only been able to download the January issue on my new iPad Mini. It is now May. It keeps asking me to subscribe again to access either of the 2 newer issues. From other reviews, this is a common problem. Shame on you Cook's Illustrated!!! Fix the problem and stop defrauding consumers!!! This app is just another way of squeezing more many out of subscribers. Christopher Kimball's company creates and publishes this app. This app WILL NOT let you access your online/web subscriptions. There is NO WAY of searching across your magazine collection. So if you think you remember seeing a recipe, you must also remember which issue it was published in. There is NO WAY of copy/past text from the recipe. So you can't share the recipe with anyone, or create a list of ingredients needed before heading to the grocery store. Can only be used in portrait mode. It's really inconvenient since most ipad cases are designed to be docked in landscape mode.. I pay for an online membership and have a subscription of the physical magazine gifted from a family member every year. When using the the older app, I was able to sign on using my online membership. It is outrageous that I would be expected to pay another $20 to access, on this app, the content I already pay for online. I would much rather deal with an app than their clunky webpage and constant barrage of “upgrade membership” pop-ups. I do love this magazine, I wish there was a master index to easily access recipes. I wish the recipes were searchable. I love the ap, and the updated version is great but finding your favorite recipe to go back to is impossible, the cover pages are too small to read the contents and opening each issue is too time consuming. Please make the recipes searchable, or at least printable for those of us who don’t get the paper version. I am a paid print subscriber and I have no access to digital version Bad business model. Canceling both. Why do I have to look at this in portrait view. My iPad stand is in landscape. This should be a very simple fix. I'm a long time subscriber and this app won't let me access magazine content. Useless. The app is a disappointment - it cannot download issues, the same error repeats every time asking to restart the app. Purchased a single issue to try and cannot even view it. Cooks Illustrated is a great magazine but they seem quite behind on technology. I have the digital subscription but apparently can't use it for this app... What's the recipe for horse*hit? A perfectly good app was dropped, and all that's left for the iPad was a simple magazine reader with no accommodation for current print and online subscribers. Get this app only if you're not already subscribed elsewhere. Former die hard fan, now cheesed off rube. Think your subscription allows access to the website? Nope. The iPad app with old recipes? Nope. Old magazines that are out of print? Nope. It is unbelievable that they don't understand that folks want their information sources to be seamlessly integrated. What's more, they don't have to handle their business this way. Most fans would happily pay a reasonable fee for full access. They used to be reputable. They are trending the wrong direction, which will likely make this kind of thing worse. Good bye frustration. Hello Food52! I bought this app two years ago and have been charged ever since. Nothing works. Called apple, they said call Cooks illustrated. CI said "yeah, we don't do that" meaning anything digital. Worst customer service ever. I have deleted and reopened this app several times, my app for cooks country was doing the same thing, but I was able to get that one to work after deleting and reopening once. I love this magazine, but I hate the fact that I paid for something I can’t use. Please fix, none of my other magazine subscriptions are having this issue. I recently wrote a negative review because they had not updated their app to 64bit for it to work in iOS11. Since I wrote that review, they have come out with an 64 bit version and I updated my older version. I am using an iPad Pro 2. I was able to successfully open the new version, downloaded the newest Sep/Oct issue and began reading it. However, when I tried to watch the videos embedded in the first two recipes, they would not play. The rest of the videos seem to be working. Had the first two worked, I would have rated this with five stars. With the videos and other interactive features, the digital version is much more satisfying that the printed version. Plus, I don't have to find a place to store the back issues. I was getting worried that CI and CC were not going to update their apps before they aged out for my iPad iOS. But they made it. I like the smooth functionality of the various swipes, and that I still can have the "feel" of paging through a physical magazine. Well done! Pay extra for the iPad edition? No way! Why can’t Cooks Illustrated offer an iPad edition at no additional charge? National Geographic and Smithsonian magazines do. Come on Cooks you have a fine magazine but you are going to price yourself out of a lot of extra customers and deprive those of us who use our iPads in the kitchen on a daily basis. I LOVE my CI app, but have been notified that it will not work on future iOS of my iPad. What can be done so that I can keep enjoying my subscription thru this device? It is so much easier to find the article that need digitally than having to store and paw thru my towers of the print version. Plz HElp! Could you please update this app . CI has developed the best digital magazine I've ever used. Never had an issue with any iPad or iPad Pro. Seamless, fast and a joy to use. Bookmarks carry through all issues so doesn't matter if I'm in the wrong issue, I can still find all my bookmarked recipes and articles. Embedded videos play without a hitch. Simply the best. My subscription is good through October 2017 however when I downloaded the most recent magazine I was told that the developer needs to update the app or future magazines will not be available for viewing. What's going on with this Cook's Illustrated?! I am a charter subscriber to Cook's Illustrated. I converted from print to electronic as soon as it was available. I religiously go through the issues page by page. I love how the recipe photos bloom from monochrome to full color when you swipe to the next page. The story, recipe, cooking mode and video give you everything you need to conquer the recipes. Selling the same product twice? Can't understand why I need to purchase print and iPad subscriptions separately. Seem like taking unfair advantage if your fans. Really? I agree with other reviewers that this app is ONLY a sales tool to sell copies of the magazine. I only wanted a digital membership. Have enough cookbooks, mags etc. Need fast searching ability to find what I need. 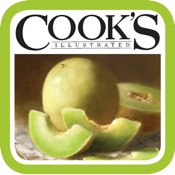 Cooks Illustrated's App ONLY sells copies of the magazine. Wake up CI. You are about to be a decade behind in the digital workspace. I have no problem paying for this ad free magazine. Just price it appropriately, and include an app that delivers your product. The only way to access this is old school, through the website. This app is really terrible because of crashing. I can't stand this :( iOS 6 doesn't work good. The print edition has always been a favorite, but the app brings the magazine to vibrant life, with all the great articles, recipes, lovely layout and artwork but with the addition of video displaying each step. If you're a fan of the print edition, do yourself a favor and buy this. If you're unfamiliar, then prepare to enjoy a new favorite. I've been using this for three years now, and have been extremely happy, and have not had any of the problems described by some. * *After some concern regarding plans to phase out the app, I am very pleased that the decision has been made to update to support 32 bit. I really prefer to view the digital version through the app, given the great work done with it, and am thankful the decision was made to continue in this format. This app only lets you download mags. I already have an account with them so this is an added cost. I want the old app back that let you do quick recipe searches. My husband enjoys cooking from his his tablet (the paper copies we leaf through and then give to a friend). There's nothing about the app I can think of to criticize. I even like the way the illustrations appear in black and white, as in the paper edition, then change to color -- cool! I am an online subscriber to America's Test Kitchen AND a print subscriber to Cooks Illustrated Magazine. I love the show, I have their Cookbook and I've given books and magazine subscriptions as gifts. So yes, I think it's a bit much to ask me to then pay AGAIN for the same subscription in digital format. However, if you are so inclined to do, please know that the Kindle version is $11.99/annually as opposed to $19.99 for the iPad/iOS version. Keep getting notices from Apple that app needs update. When can we expect? You can trust that if Cooks Illustrated develops a product, they will do it well. Stopped working ipad pro. Needs an update. If you expect it will get you access to the website. It doesn't. Only the digital copy of the magazine. If they included access to the website this would deserve five starts. In proper review of the app, the app works well for navigating the magazine. Content is great as usual. DOwnloadingbthe magazine is incredibly slow even using an iPad Pro. Down loaded Magazine uses up storage. This app does not replace the old app that I used for mobile access my web subscription. The old app won't run on IOS 11 and this new app requires yet another subscription. I love the reliability of the recipes and the techniques provided but everything has a price limit. Mine has been reached. This app is solid when I run it; it holds its place and does not crash like so many others do. The way pages perfectly glide and show much better pictures than the print edition does, and I was a fan of that for sure. I've never given a 5-star rating to an app before, but this one it that good in my opinion. Old app much better. Have subscribed to magazine for many years. Old app allowed to a old recipe to be easily found Without looking through multiple back issues till found.